Tonight I made a family favorite, Cranberry Chicken! This time I added cashews…what a yummy addition! The first time I made this recipe, I used the oven. Then I saw a similar recipe shared by Grateful Belly, Easy Crock-Pot Sweet & Sour Chicken. I’ve been using the crock-pot ever since. I’ll share both ways to cook this easy, super yummy recipe below. This recipe is so simple. So good. Lightly spray crock-pot with non-stick cooking spray. Place chicken in a single layer. Mix all of the ingredients, EXCEPT the cashews. Pour mixture over chicken. Cook on low for 7 to 8 hours. Each crock-pot is different, be sure chicken is cooked. 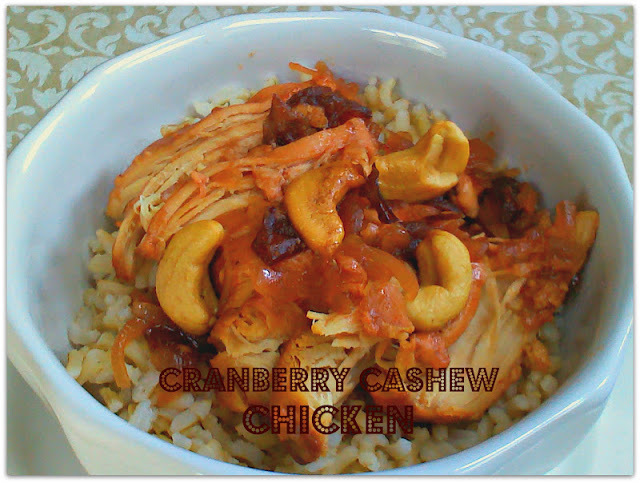 Serve over rice and top with cashews ~ Enjoy! Preheat oven to 350 degrees F. Mix the Catalina dressing, cranberry sauce, Lipton soup mix. Lightly spray a 9×13 baking dish. Place a small amount of the cranberry mixture on the bottom of the baking dish. Next, place (thawed) chicken breast in single layer on top of sauce. Pour the remainder of the mixture over chicken. Bake uncovered for 60-70 minutes or until the temperature (thickest part of breast) reaches 165 degrees f. Remove, serve over rice, top with cashews ~ Enjoy! « Valdez, Alaska ~ Driving There Is Half The Fun! Can't wait to try this. My family happens to love all those things, I just never thought of putting them together. Thank you so much for sharing. I just saw another person talking about chicken made with catalina dressing…is catalina dressing any good? I've never tried it. I better try it. Catalina is great in this recipe! I don't care for it as a salad dressing, too sweet for me. 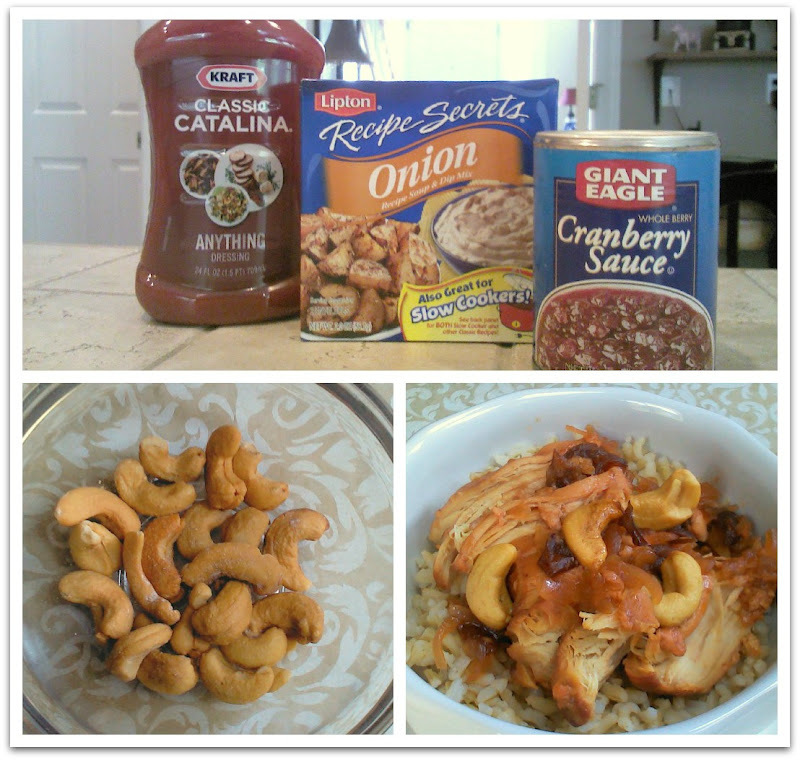 I have two crock pot recipes I use it with…this one and Sweet & Sour chicken (link above). 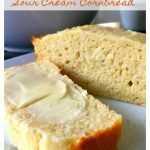 Both my girls and my husband love both of these easy dishes! I actually have the Sweet & Sour Chicken in my crock pot right now. We have soccer tonight, this is one of my go-to recipes for an easy dinner. All I have to do is make some brown rice and a veggie – dinner is ready in 10 minutes! Mary you know I'm going to try this…it looks so good! I pinned it. It's so yummy, Danni! So easy too. The cashews made it even better! Let me know what you think when/if you make it! I hope you have a great weekend! 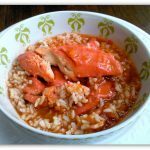 I love cooking with my crock pot, makes preparing meals so much simpler. Thanks for sharing your recipe. I would love to give it a try. Hi Brandi! Me too, I love the crock-pot, especially for busy days. 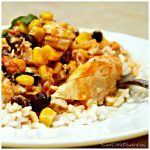 My crock-pot gets a lot of use in the fall with back to school and soccer practices. Thanks so much for stopping by! I hope you have a wonderful weekend.